Home / We'll look all around with a sharp eye, every yard and every house! Pioneers, amicably, at once we will collect the iron scrap! On the poster of 6 images, below the poems of D. Bednyi (3 columns, 22 lines). Electronic poster reproduction: We'll look all over with a sharp eye, every yard and every house! Pioneers, amicably, at once we will collect the iron scrap! [IsoMaterial] / the artist of Laughs; the poems of Demian Bednyi; editor P. Piskunov. Moscow. Leningrad: Art, 1942. (3rd printing house "Red Proletarian" OGIZ of the RSFSR Trust "Polygraphbook"). 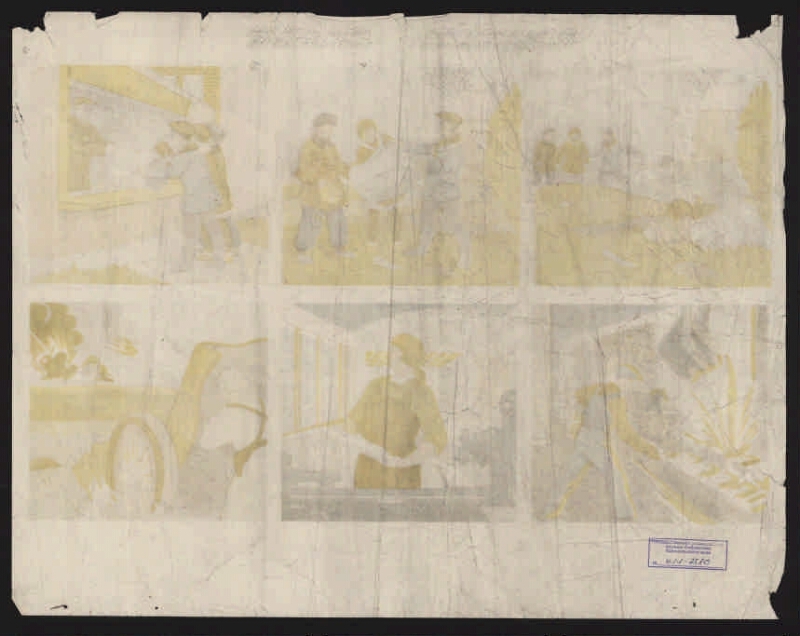 1 sheet (3 columns, 22 lines): color lithography. Circulation 50000. Izd. No. 5703. L60752, 60 kopecks. Location: GUNB of the Krasnoyarsk Territory. I. Piskunov, P. .. II. Poor, Demian (1883-1945) .1. The people (the collection). 2. Memory of the Great Victory (collection). 3. 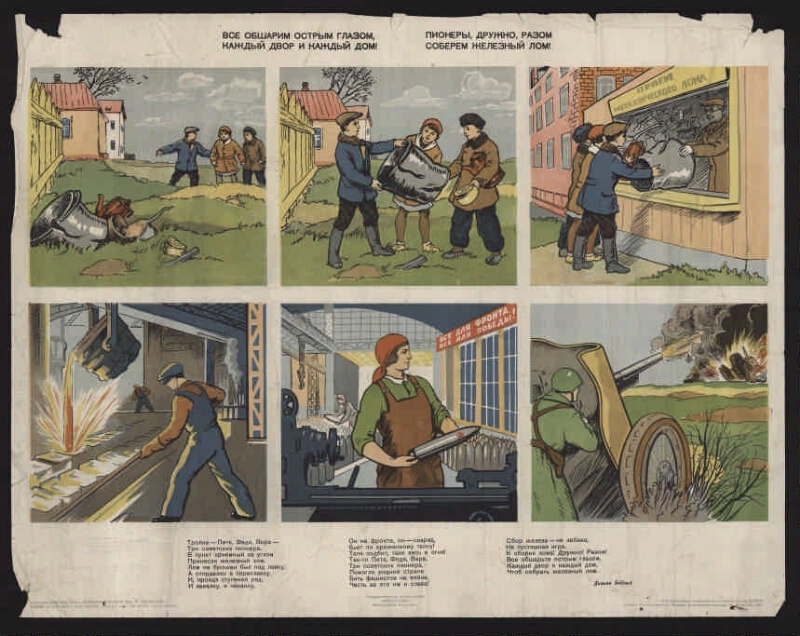 The Great Patriotic War - Soviet propaganda and propaganda - 1941 - 1945 - Posters. 4. The Great Patriotic War - Rear (military) - 1941 - 1945 - Posters. 5. Posters - the USSR - 1941 - 1945.